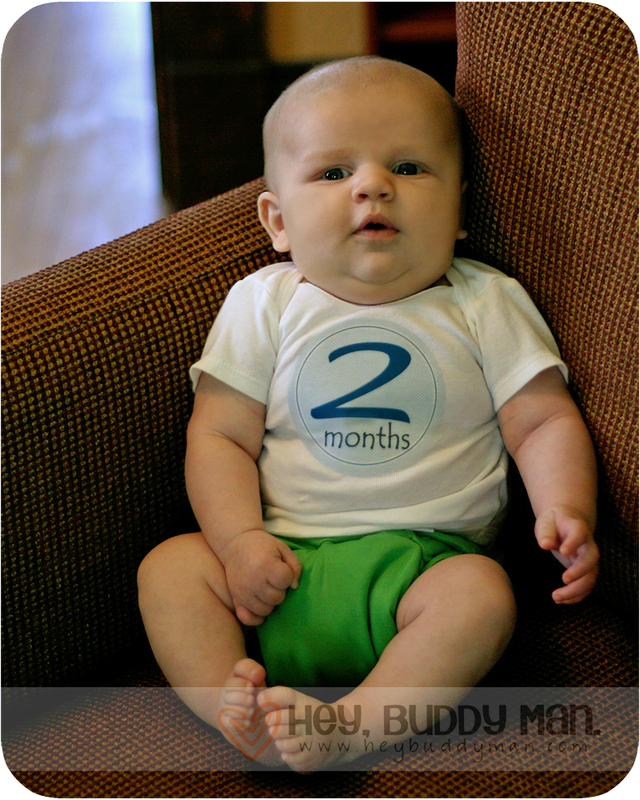 At two months, he had outgrown all the white onesies we had on hand. They wouldn't snap in the crotch anymore. So we had to take the photo with his diaper hanging out. Good thing cloth diapers are so cute!